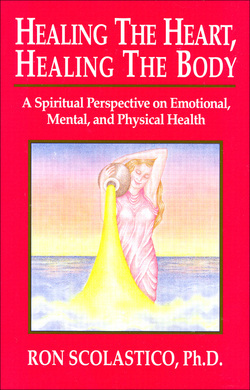 Healing the Heart, Healing the Body is a comprehensive guide to health, healing, and higher wisdom. It offers a profound view of the relationship between your human personality, your physical body, and your soul. This practical and profound book brings you knowledge about the hidden spiritual energies that dramatically influence your human existence. You are shown how to draw upon these energies to create a healthy and fulfilling life. "...a must read book for anyone wanting greater health. It is a must read book for anyone on a spiritual path. It is a must read book for everyone." of Making Peace With Your Parents. "Healing the Heart, Healing the Body is a marvelous contribution to anyone interested in the connection between spirituality and healing." Your inner life and your body. "This is the most comprehensive and sensible book I have read on the subject of affirmations, the soul connection with healing the body, the emotional/physical/mental relationships. One of the most important things I learned was that tendencies to illness can be implanted before birth. I do not have to fear my every thought and emotion. Methods for healing fear are excellent. I highly recommend this book." Your place in the physical world.